Although the Netherlands only controlled the Hudson River Valley from 1609 until 1664, in that short time, Dutch entrepreneurs established New Netherland—a series of trading posts, towns, and forts up and down the Hudson River that laid the groundwork for towns that still exist today. 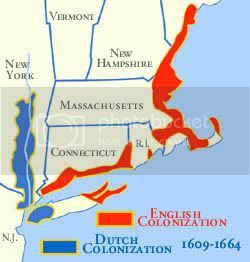 New Netherland was on the eastern coast of North America in the 17th century which stretched from latitude 38 to 45 degrees north as originally discovered by the Dutch East India Company with the yacht Half Moon under the command of Henry Hudson in 1609. On October 11, 1614, merchants from the cities of Amsterdam and Hoorn formed the New Netherland Company, receiving a three-year monopoly for fur trading in the newly discovered region from the States General of the United Provinces. In 1615, the company erected Fort Orange on Castle Island near Albany and began trading with the Indians for furs. Although merchants came to New Netherland for business purposes, the area was not colonized and at the end of the three-year period, the company’s monopoly was not renewed. At that point the land was opened to all Dutch traders. Eventually the States General decided to grant a monopoly to any company that would colonize the area. In 1621, the newly incorporated Dutch West India Company obtained a twenty-four-year trading monopoly in America and sought to have the New Netherland area formally recognized as a province. Once provincial status was granted in June of 1623, the company began organizing the first permanent Dutch settlement. In May of 1624, the Dutch completed their claim by landing 30 Dutch families on what is now Governors Island. They came from the Walloon communities in Amsterdam, Haarlem and Leiden—where the Pilgrims had lived prior to settling at Plymouth Colony. The families were spread out over the entire territory claimed by the company. To the north a few families were left at the mouth of the Connecticut River, while to the south some families were settled at Burlington Island on the Delaware River. Others were left on Governor’s Island at the mouth of the Hudson River, while the remaining families were taken up the Hudson to Fort Orange (Albany). Later in 1624 and through 1625 six additional ships sailed for New Netherland with colonists and supplies. In June 1625, forty-five more colonists disembarked on Governors Island from three ships, which also delivered 103 horses, steers and cows, in addition to numerous pigs and sheep. It soon became clear that the northern and southern outposts were untenable and so had to be abandoned. Due to a war between the Mohawk and Mahican tribes in 1625, the women and children at Fort Orange were forced to move to safety. In the spring of 1626, the Director General of the company, Peter Minuit, came to the province. 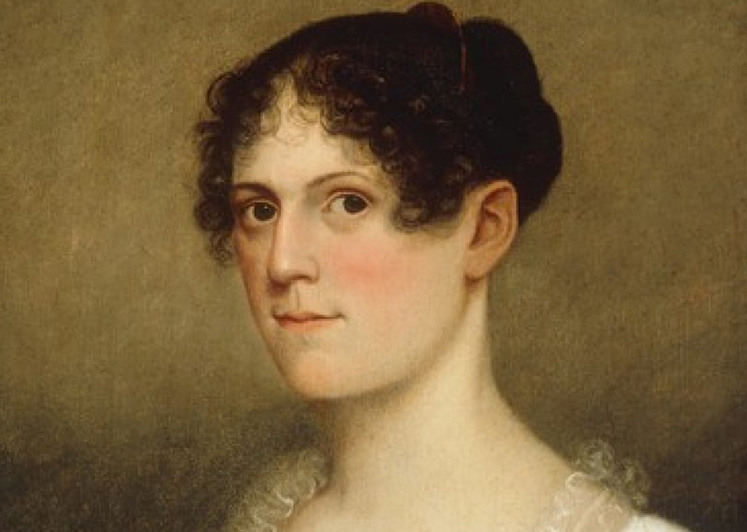 Possibly motivated to erect a safe haven for the families forced to leave Fort Orange, Minuit purchased the island of Manhattan from Native Americans for 60 guilders worth of trinkets. Prior to establishment of Fort Amsterdam on Manhattan Island in 1625, giving birth to New York City, there was a fort on Governors Island in 1624, giving birth to New York State. There were many other forts, whose primary purpose was to defend river traffic against interlopers and to conduct fur trading operations with the natives. To the south, New Netherland took all of New Jersey, establishing Fort Nassau near the southern end of New Jersey along the Delaware River in 1626. But the colony grew slowly. Because of the dangers and hardships of life in a new land, some colonists decided to return to the homeland in 1628. By 1630, the total population of New Netherland was about 300, many being French-speaking Walloons. It is estimated about 270 lived in the area surrounding Fort Amsterdam, primarily farmers, while about thirty were at Fort Orange, the center of the Hudson valley fur trade with the Mohawks. New Netherland was a company owned and operated business, run on a for-profit basis by the directors of the West India Company. The Company paid doctors and craftsmen to move to New Netherland, and soldiers for military protection of the settlements. And they continually sent over provisions for the settlers—much better treatment than England gave the settlers at Plymouth Colony. Laws were made by the Director General with the consent of the company directors back in Amsterdam. All taxes, fines, and trading profits went to the company, and the company paid the bills. The Company soon discovered that the expenses associated with establishing and expanding a colony were considerable. In order to increase their profit margin, the company tried to attract partners. Their first attempt was the Patroonship Plan, which was conceived in 1628 as a way to attract more settlers without increasing company expenses. A patroon would be granted a large tract of land if they agreed to bring over settlers and colonize the land at their own expense. The Province continued to expand. The nerve center of New Netherland was along the Hudson River from New Amsterdam (New York City) northwest to Fort Orange (Albany). Fort Orange was the center of the fur trade while New Amsterdam was the shipping hub for Dutch traders. Again the company felt they could share the expenses and risks associated with trade by opening up the area to other merchants and collecting fees from them. With the passage of the Articles and Conditions in 1638 and the Freedoms and Exemptions in 1640, the company allowed merchants of all friendly nations to trade in the area, subject to a 10% import duty, a 15% export duty, and all merchants had to hire West India Company ships to carry their merchandise. In the lower Hudson Valley, where colonists were setting up small farms, Native Americans came to be viewed as obstacles to European settlement. In the 1630s and early 1640s, the Dutch Director Generals carried on a brutal series of campaigns against the area’s Native Americans. The northern border of New Netherland was not well defined, but was taken to be the Connecticut River. Based on that border, the Dutch had a claim to New Haven and southern Connecticut. The border was officially established at a convention in Hartford in September of 1650, which limited the Dutch to the territory west of Greenwich Bay (similar to the present day NY-CT border). There were about 2,000 English inhabitants in the area of New Netherland, primarily from New England, living on Long Island and along the Connecticut border. The English obtained the eastern portion of Long Island at the Hartford Convention. In fact, five of the ten villages in the vicinity of New Amsterdam were English—Newtown, Gravesend, Hempstead, Flushing, and Jamaica. Brooklyn, Flatlands, Flatbush, New Utrecht, and Bushwick were Dutch. There were also a number of half- free African slaves, who were required to make a fixed yearly payment to the company for their freedom. The colony was proving quite profitable. New Amsterdam had developed into a port town of 1500 citizens, and the incredibly diverse population (only 50 percent were actually Dutch) of the colony had grown from 2,000 in 1655 to almost 9,000 in 1664. Stable families were slowly replacing single adventurers interested only in quick profits. New Netherland produced immense wealth for the Dutch, and other foreign nations began to envy the riches flowing out of the Hudson River Valley. In the mid-seventeenth century, the British and the Dutch each saw the other as a competitor, and several times during that period they were at war. With the restoration of Charles II to the British throne in 1660, the United Netherlands feared an English attack, so in 1662 they made an alliance with the French against the English. In response to this alliance, Charles II formally annexed New Netherland as a British province and granted it to his brother James, Duke of York and Albany, as Lord Proprietor. In 1664, the Duke sent a fleet under the command of Sir Richard Nicolls to seize the colony. On September 8th, the Director General surrendered Fort Amsterdam and on September 24th, Fort Orange capitulated. Both the city of New Amsterdam and the entire colony were renamed New York. Fort Amsterdam was renamed Fort James, and Fort Orange became Fort Albany, effectively ending the Netherlands’ direct involvement in North America. The British governor, Major Edmund Andros, arrived in Manhattan on November 1st and gave the Dutch a week to leave. On November 10, the transfer was completed. From that point, the British controlled both the city and the province of New York. New York City remained the premier British military stronghold in America during the Revolutionary War, and was not liberated until the British evacuation in 1783.